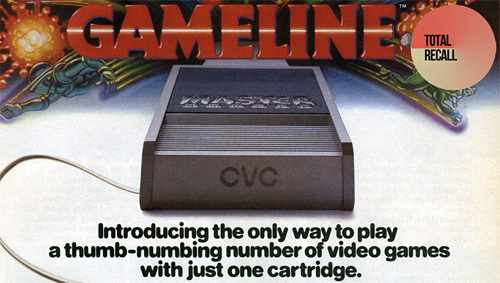 CVC's GameLine Atari Cart Was A Lot Like Xbox Live – Except Back In 1983 | OhGizmo! Kotaku has a great post this morning about the CVC, or Control Video Corporation’s GameLine Atari 2600 cart which let you download games over a phone connection, way back in 1983. The $60 cartridge was both a storage unit and modem in one, and rolled into the cost was a year’s subscription to the GameLine service which was the only way you could download titles. At launch there were about 75 games available, and the idea seemed very promising, even given what we would consider pretty dated technology at this point.